Late Tax Filing Done Right® File Late Taxes For 2007-2018 In 10 Mins! Try our quick and easy application to figure your 2016, 2017, or 2018 tax refund or the amount that you owe. Need Help With IRS Debt? 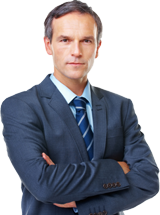 Our expert staff offers a full range of debt resolution services. and whatever else it takes to resolve your IRS debt! We offer customer support via telephone, email and live chat to ensure that you may complete your tax return as easily, quickly and accurately as possible. Our Federal Tax Return Package features Federal tax return preparation and unlimited email, live chat, and phone support. Our Federal & State Tax Return Package includes all the features of Federal and state tax return preparation, as well as credit for taxes paid to other states. Our State Only Tax Return Package includes state tax return preparation, special state additions, subtractions, etc., and unlimited live support. This is the fifth year we have used your on-line service to file our taxes. We started when we were almost three years behind in filing. You made it easy to catch up even though we were paralyzed with fear and didn't know what to do because we were so behind. Once we were caught up, it has been easy to stay on track with your software "holding our hand" as we go through the process. Thank you for easing our tax-filing burden! Current year tax returns that are e-flied are typically processed within 21 days. Current year or prior year paper filed tax returns can take 6-8 weeks to process. You can expect to receive your refund within these time frames. For current year 2018 returns e-filed between January 29 and October 15, get your tax refund in less than 21 days. For current year or prior year paper filed tax returns your refund typically arrives in less than 21 days. The LateTax.com online interview guides you step-by-step so that you find every tax deduction and credit that you deserve. Our system is free to try, and in case you need tax help, you have the option to talk to someone via live chat. LateTax.com understands the difficult task of filing your taxes. We take pride in providing every customer with the utmost customer service, tax advice, and support. We offer unlimited customer support at no charge. We offer a money back guarantee if not 100% satisfied. We are knowledgeable and keep constantly abreast of the changes in tax law, and our online program is routinely monitored to factor in these changes. To ensure that information will not be intercepted by potential hackers, LateTax.com is secured by Verisign SSL Encryption, and our servers are scanned daily by McAfee HACKER SAFE Security Scan. The LateTax.com security team attentively monitors and protects our computers and your information. All returns that are electronically filed to the IRS or State Agency are encrypted by the same technology used by banks. We pride ourselves on the comprehensiveness of our questionnaire and service that ensures that you receive the maximum possible refund.